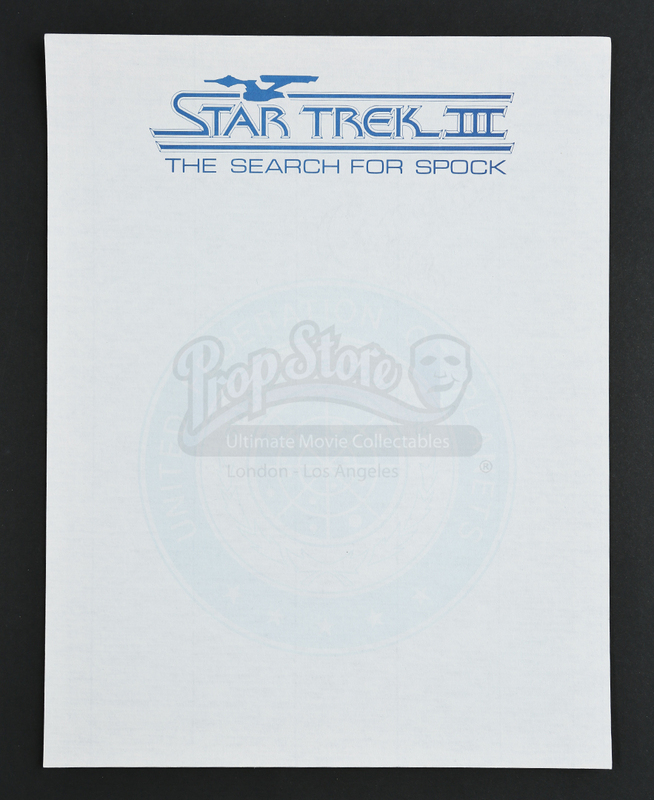 A sheet of stationery from Leonard Nimoy's 1984 installment of the Star Trek franchise, Star Trek III: The Search for Spock. 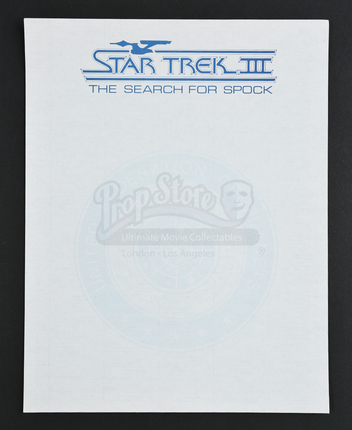 The piece consists of letterhead paper featuring the film's logo printed in blue at the top center of each page. 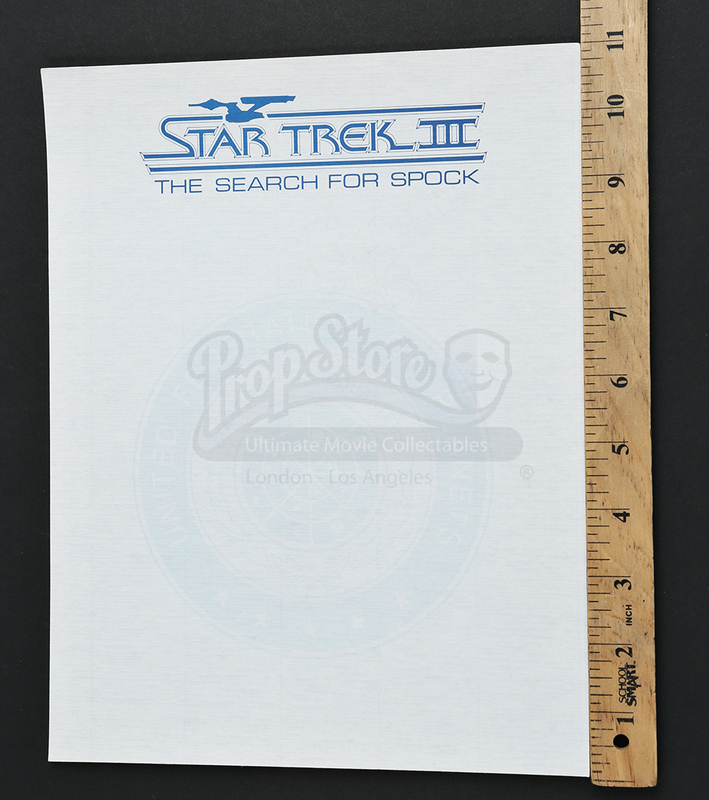 The stationary also features a faint print of the United Federation of Planets logo in the center of each page. This piece shows minimal wear and remains in overall excellent condition.